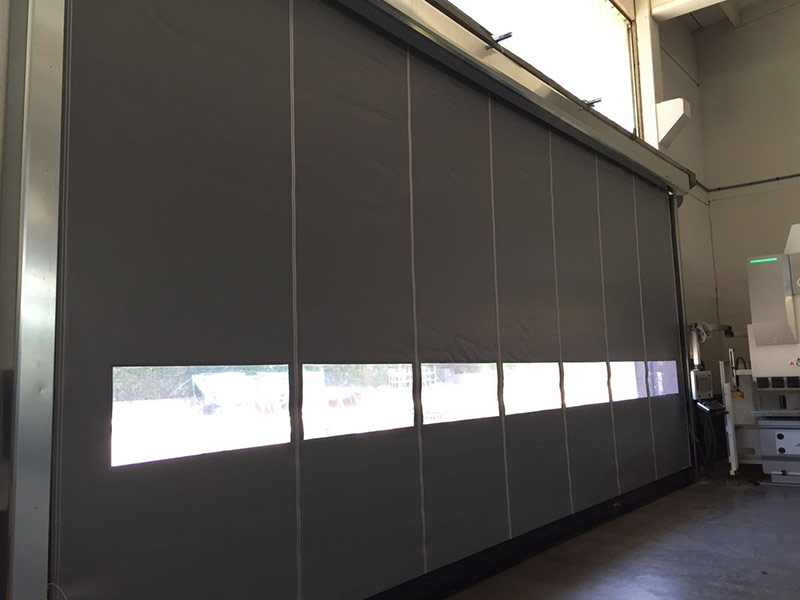 DynamicRoll Push & Pull flexible and self-repairing roll door is ideal for all industrial sectors requiring the partition of different working environments. This door ensures high-speed opening operations, adjustable via frequency inverters, which allow to speed up handling operations and to optimize work time. Thanks to the frequency converter, it is possible to adjust opening speed and slow down closing operations, so as to reduce the risk of impact. DynamicRoll are high-speed doors in PVC, with a perimeter structure in galvanized or stainless steel, which is ideal to support the panel. The door panel rides effortlessly within a track, thanks to the special profile and hinge designed by us, requiring low maintenance. The panel is rolled up on a roller placed within the upper crossbeam.